I'm back from AK and CA and it is good to be home again! I was without Internet capability for the past 16 days so thanks for being patient. 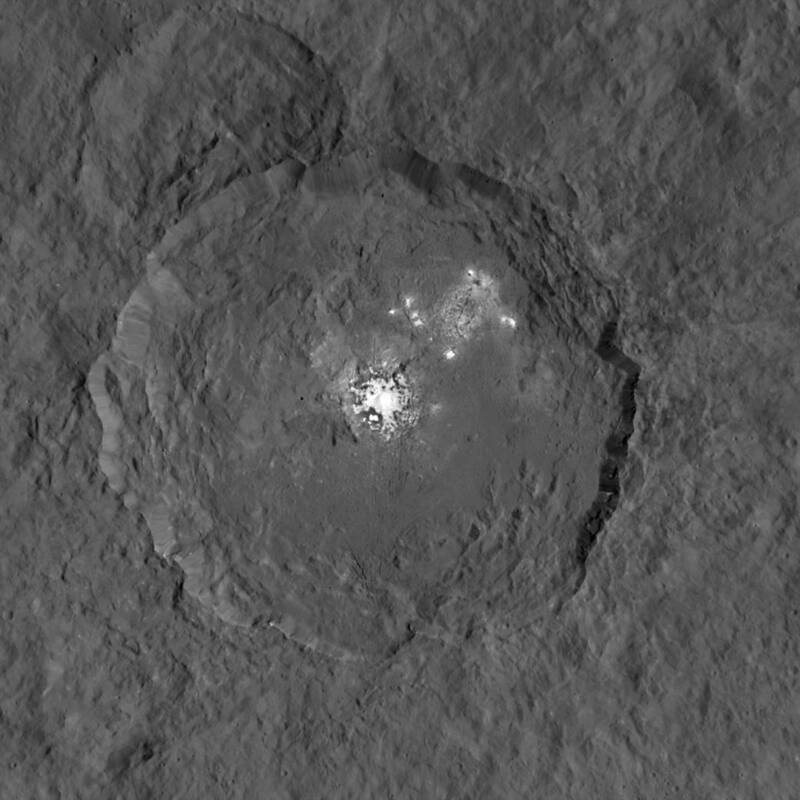 Ceres' crater Occator shows off its bright spots in this image taken by the Dawn spacecraft and released by NASA today, 9/9/15 - Wow! The white spots have been a mystery since first discovered by Dawn and continue to intrigue us and mission scientists. Dawn also photographed in great detail the 4-mile high mountain that astounded us when it was first discovered earlier this year. This is an amazing structure that is not easily explained because of its very existence. 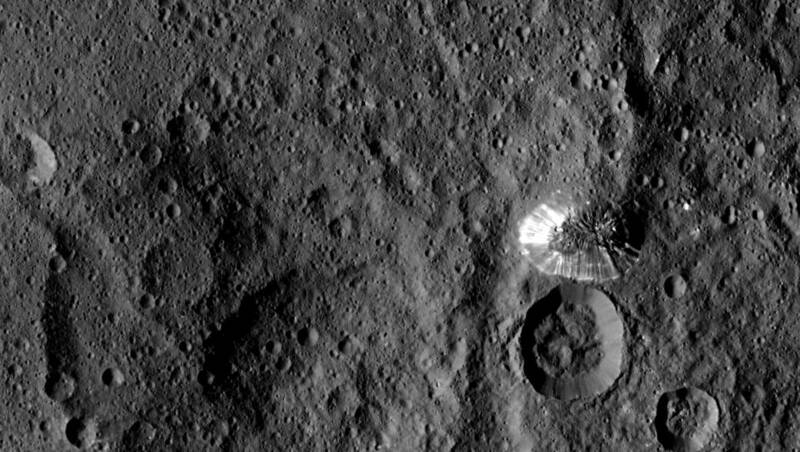 Dawn is settling in to its third mapping cycle and will be accumulating a lot of new data and images.